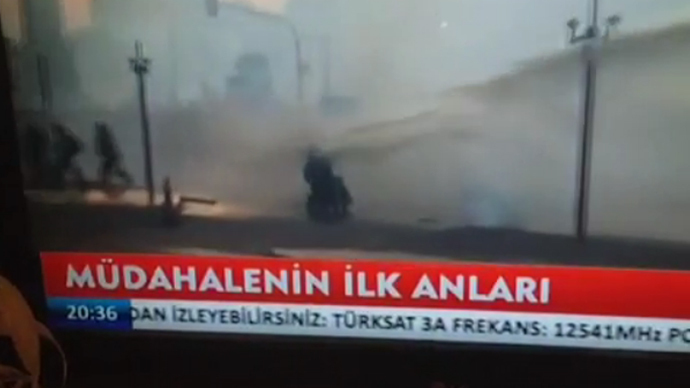 Turkey’s PM has issued a “final warning” for protesters, saying they will be removed from Istanbul’s Taksim Square. The Interior Ministry has ordered a probe into excessive use of force by police, while protesters prepare for further clashes. "Our patience is at an end. I am making my warning for the last time," said Prime Minister Tayyip Recep Erdogan the day after he promised to end protests “in 24 hours”. “We cannot allow troublemakers to hang around freely in this square. We will clean the square,'' he told local party leaders. 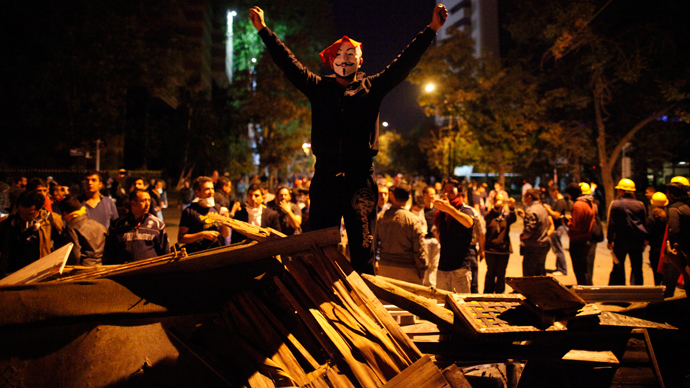 On Wednesday night protesters were defiant to Erdogan’s deadline. In Ankara, overnight riots ended up with police firing tear gas and water cannons to disperse some 2,500 protesters, as they tried to erect barricades on a road leading to government offices. On Thursday morning police arrested 42 people in Istanbul who were wearing masks and helmets while peacefully walking around the park. Meanwhile, by the 14th day of bloody protests five people have died and above 5,000 injured. 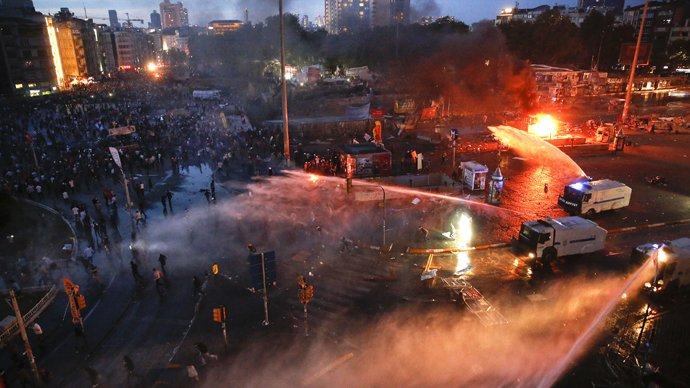 Despite the deadline, however, crowds of people remain in Taksim Square and Gezi Park. "The prime minister said that if the results of the public vote turned out in a way which would leave this area as a park, they will abide by it," a member of Taksim Solidarity told reporters after the meeting. "His comments that the project will not be executed until the judiciary makes its decision, is tonight's positive result." Police actions towards protesters in the past two weeks of violence have prompted the Interior Ministry to order a probe into what the EU Parliament has called “the disproportionate and excessive use of force” by police. "Our inspectors in Istanbul, Ankara, Izmir and other cities have launched an investigation so no one should worry about that," Interior Minister Muammer Guler said Thursday. The members of the European Parliament (MEPs) have expressed their concern over the situation in Turkey with EU's foreign affairs chief Catherine Ashton saying police actions should be swiftly investigated and those found guilty held accountable. The European Union’s two most influential states, Germany and France, have already warned that unrest and violence in Taksim may undermine Turkey’s bid to become a member of both the EU and the eurozone. At the same time, French EU Affairs Minister Thierry Repentin threatened to jeopardize plans to restart talks on Turkey's bid to join the single currency union. 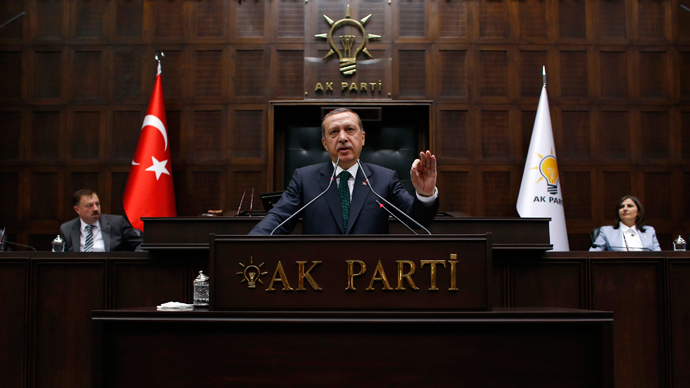 Both states have long been skeptical about Turkey’s admission to the EU. In a move to end protests Justice and Development party spokesman Huseyin Celik suggested a referendum over a development plan in Gezi Park. But this remains unclear if such measure is possible at all given that on May 31, on the day when violence started, administrative court, according to Anatolia news agency, ruled for the suspension of the replicas of Ottoman-era barracks planned to be built on the site of Istanbul’s park.